When I saw in NYC Summer of Sam, I was disappointed. The fresh vision he brought to She’s Gotta Have It, Jungle Fever, and what Ebert AND Siskel hailed as the best movie of 1989 (an exceptionally rare agreement), Do The Right Thing, had had almost completely evaporated. 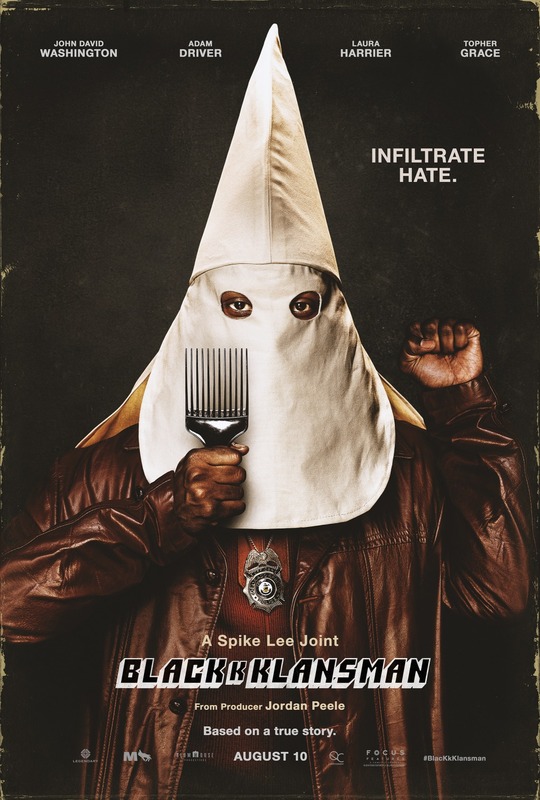 Going in almost 30 years later to BlacKkKlansman, I was hoping that Spike Lee had his mojo back. I thought fondly of the great Oldboy. Though Oldboy had nothing in common with the early African American-centered Spike Lee canon, it was damned good. I’m wondering if Lee was inspired by the potent story. In BKkK, he clearly has a message to communicate, but he muddles that up with a blurry dramatic presentation. Another disappointment. Until proven otherwise, we have to add Spike Lee to the growing heap of great directors who have turned sour, the best example being Oliver Stone. Makes you appreciate Quentin Tarantino all the more — really curious about and looking forward to Once Upon a Time in Hollywood. The movie is not a comedy, but it contains big laughs, and it is not a tragedy, although it could be if we thought about it long enough. 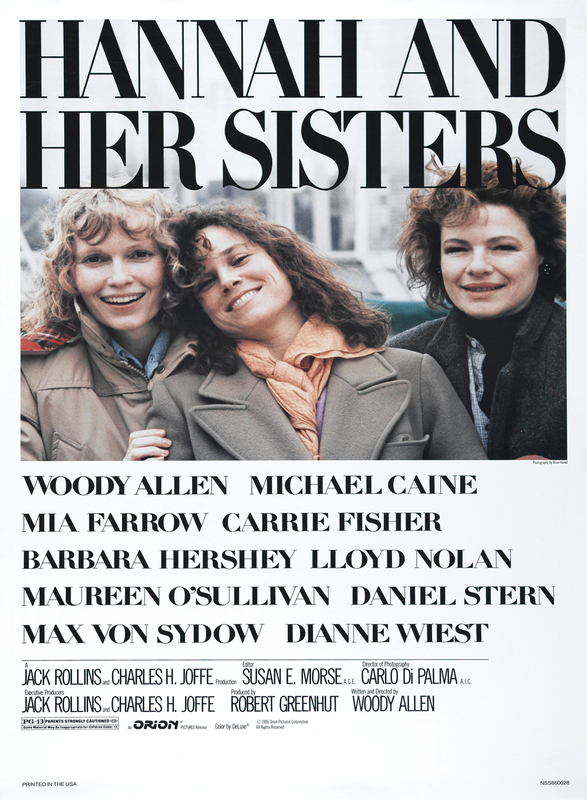 Allen’s writing and directing style is so strong and assured in this film that the actual filmmaking itself becomes a narrative voice, just as we sense Henry James behind all of his novels, or William Faulkner or Iris Murdoch behind theirs. “Hannah and Her Sisters” is a joy to behold, a complex film that never loses either its sense of purpose or sense of humor. Siskel & Ebert loved this movie, and so will you. It may well be the ultimate Woody Allen picture. For now, unfortunately, not available via VOD, so try to find a DVD, or catch on TCM or another movie channel. It’s sad that such great classics get shoved to oblivion purely because they were released in the pre-digital age. I had thought to promote on this blog CNN’s airing last Sunday night of the year’s 2nd-best film Life Itself, but I assumed it would be riddled with commercials. I should have checked that, because as far as I can tell they presented it commercial free. With a running time of 121 min., my only concern is that it was shown uncut within its 2-hour time slot — hopefully nothing more than end credits were shaved off. CNN will rebroadcast the film this Friday at 6 & 9 PM Pacific Time. Try to watch or DVR this special movie; view a Times article on CNN’s presentation here. Sunday night I wasted a good portion of the evening with the abysmal revamping of Celebrity Apprentice, and missed all but the last minute or two of Life Itself on CNN. And I was reminded of what a special movie it is. 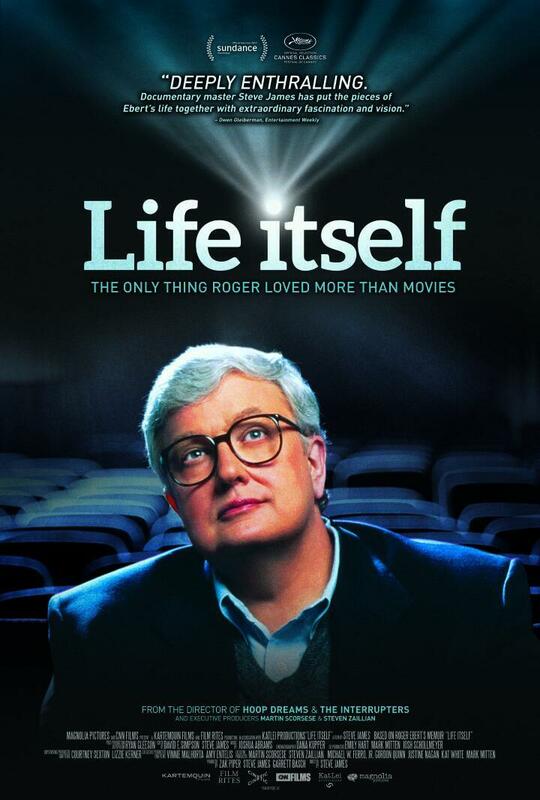 It’s special because of the extraordinary life of Roger Ebert, and because it does a great job documenting that life. I think it’s a deeply profound and emotional film, and an important one, and a timeless one. Therefore I am upgrading Life Itself to 10/10. It’s a documentary, but so what. It’s better than any other film — save one — that was released in 2014. Or 2013 or 2012, for that matter. So watching for free courtesy of CNN is a pretty sweet deal. Old VCR recording is poor quality, but the content is good for any movie buff. Credit to The Loop. READERS OF MY blog know that I’m a fan of Brit Marling, and was looking forward to The East. By the trailer, it seemed a natural extension of the last collaboration between Marling and director Zal Batmanglij, the brilliant little indie Sound of My Voice (see prior posts). The basic story is of Marling’s character infiltrating a specialized terrorist group which targets executives of companies which commit wrongdoings. This group, The East, likes to exact punishment in kind. The East never quite plumbed those depths. A related problem with The East was that I couldn’t get into the characters the way I wanted to. In a way this was a very character-driven film, and the lack of conviction, depth and complexity with the characters transferred to the story — and this feeling infected the entire movie. There was a certain superficiality to the whole production. But infected is too harsh. The East is still a good movie, with some very nice moments and a good story. I’ll give it a marginal recommendation; 6/10. Nothing will be lost waiting to see this on video. BONUS! The classic Ebert & Siskel review of Blue Velvet. Skip ahead to 3:50 for Siskel’s “getting in over our heads” comment.